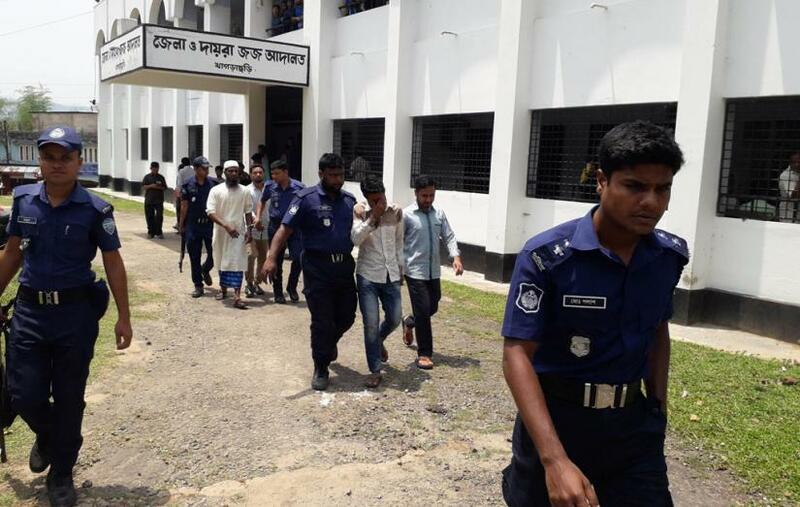 Five people have been sentenced to life for demanding ransom after kidnapping a businessman's son in Khagrachhari. Judge Mohammad Ismail Hossain of Women and Children Repression Prevention Tribunal gave the verdict on Monday afternoon. The convicts are- Md Yunus, Md Yasin, Nayan Dhar, Md Nitu, and Md Prince, hailing from different areas of Chittagong city. Among them, Md Prince alias Johnny, has been on the run since the incident. On February 20, 2007, businessman Ankar Dhar's son was abducted on his way home from school in Mahalchhari of Khagrachhari, son of businessman Ankur Dhar. As the kidnappers demanded a ransom of Tk5 lakh after taking the child to Chittagong, RAB-7 rescued the child and arrested the culprits. Meanwhile, expressing his dissatisfaction with the verdict, lawyer representing the convicts, Advocate Ratan Kuman Dey said he will appeal to the High Court. Advocate Ratan Kumar Dey, appearing for the defendant, said that he will go to the High Court after hearing the verdict.